My Hand Engraved Chocolate Bar Chalkboards are one of my favorite treats for graduations, teachers appreciation and back to school! 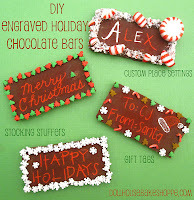 I have used my DIY engraved chocolate bars for many other holidays and occasions (scroll down for photos), but the idea originated when I created a cookie version of these chalkboards last year. I loved my original DIY chocolate bar engraving technique so much that I just had to re-create them in "no-bake" version for a quick, simple, equally delish alternative! 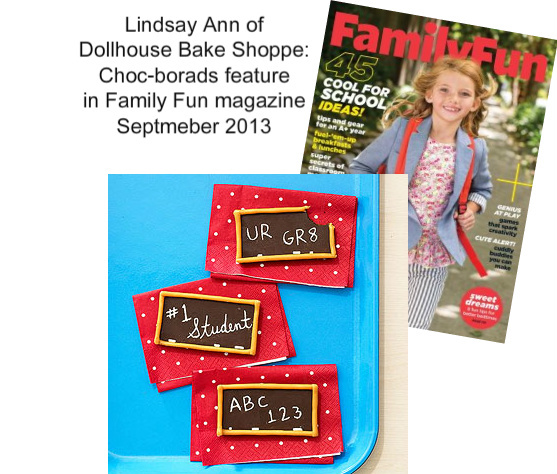 I also had the honor of having my "Choc-boards" idea featured in the September 2013 issue of Family Fun Magazine! You can find my treat, recreated by Family Fun's real live test family, on page 34 as the featured "Treat of the Month"!. Always so exciting to see my name published along side my ideas! 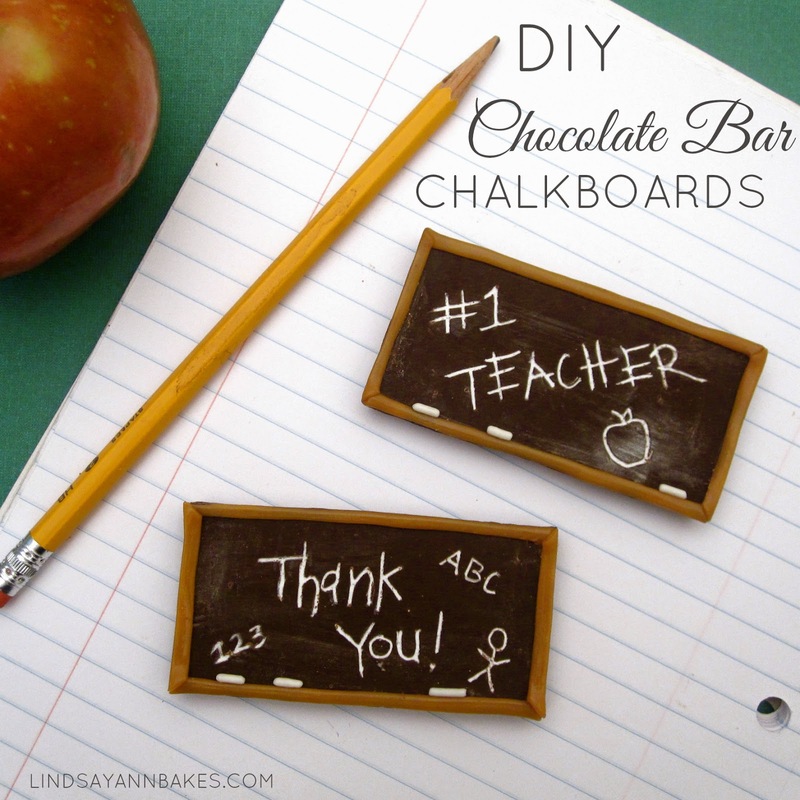 These little chalkboards are such a cute and sweet way of saying "thank you" to that special teacher and showing your appreciation. You can even use them as a graduation gift or back to school classroom treat for kids and teachers alike. 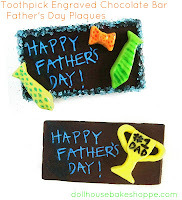 Kids will love engraving their own text or drawings right on the chocolate for a personal touch. 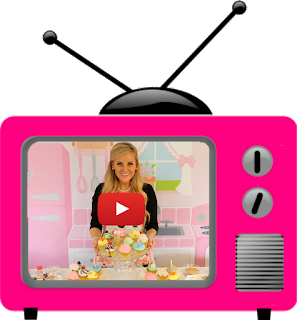 They require no baking or preparation so you can make them in no time at all for an adorably impressive customizable gift. ...or the giant 120g chocolate bar (that you can break up to create multiple smaller bars or keep whole for one giant plaque!). I wanted to create multiple smaller chalkboards. 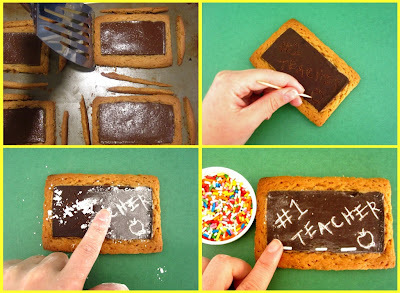 To do this, break you chocolate bar along the 3 vertical lines, creating 4 smaller bars, with 4 squares each (Or keep it whole to make one giant chalkboard). I got mine from the candy aisle of the grocery store. Use a sharp knife to smooth any jagged edges if desired. Applying medium pressure, use a toothpick to engrave a message, name or drawing on to the flat (bottom) side of the chocolate. Brush away any excess chocolate shavings. 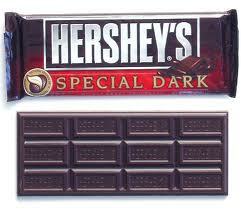 Sprinkle your engraved chocolate bars with a little bit of powdered sugar (about 1/4-1/2 teaspoon each). Using your finger, gently rub the powdered sugar around, so it falls into the lines you have engraved with your toothpick. Brush away any excess powdered sugar. Make sure the powdered sugar fills every engraving you want to be shown. 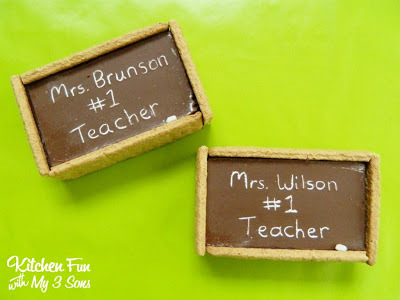 Using a damp paper towel, wipe the surface of your chocolate bar to remove all excess powdered sugar, leaving your inscription filled with powdered sugar so it will stand out. Make sure your paper towel is not too wet, so it only removes the powdered sugar on top of the chocolate and does not erase the powdered sugar that has filled the crevasse of your inscription. 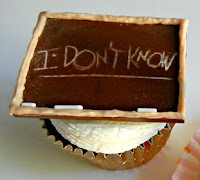 I like to rub a tiny bit of extra powdered sugar over the top to resemble a real chalkboard that has been used. Get creative and have fun! Try different fonts, messages, or even engrave a fun drawing. To create the faux wood border of your chalkboards, simply roll and flatten a soft caramel candies into a long thin strip. Cut the caramel strip to fit the two long sides of the chalkboards, followed by cutting the two short sides (I cut the two short sides at a angle to make it look like the pieces of wood meeting at the corners of a real chalkboard). As a finishing touch, use the white jimmies from a bag of rainbow sprinkles as "chalk". Press 2-4 jimmies into the bottom strip of caramel. 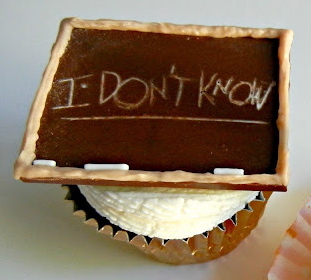 And there you have your edible chocolate chalkboards. 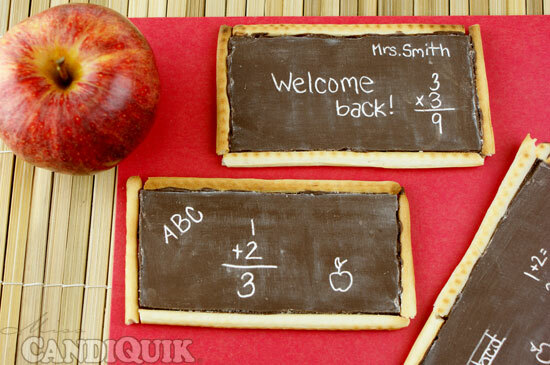 The best part about these chalkboards is your special message can never be erased... until you eat them, that is! You can also also package them up in clear plastic bags tied with ribbon for gift giving. Here is the cookie version I made last year by baking each chocolate bar piece on top of peanut butter cookie dough. It requires a little more work, but are definitely just as cute!